Teacher resources cannot be filtered by grade. 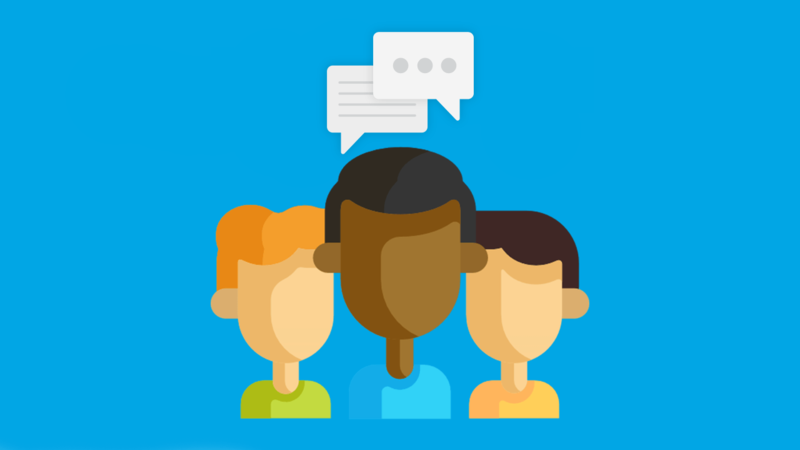 In this lesson, teachers use the discussion points to introduce students to EasyTech as well as to networks, usernames and passwords, acceptable use policies, and intellectual property. The learner will utilize this reflection to evaluate their participation in the corresponding discussion and reflect on their level of learning. Application Exercises give students an opportunity to apply concepts they have learned in previous instruction. 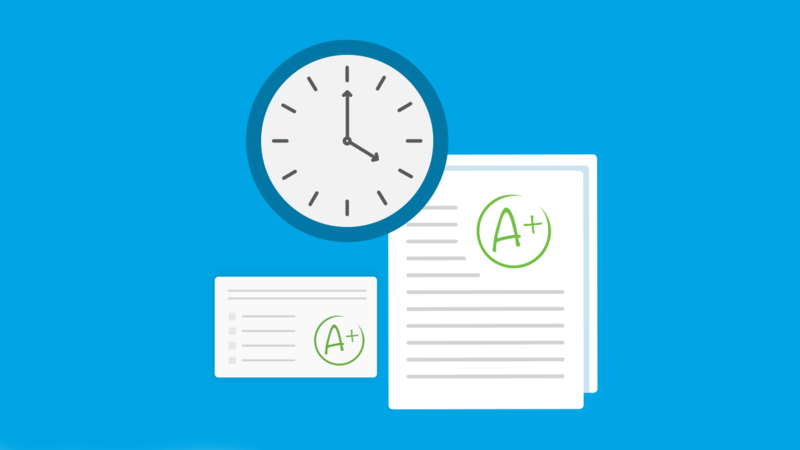 Work completed by a student will be graded through a variety of scoring options including participation and teacher assessment via rubric to provide flexibility with the type of grade sent to the Learning Management System (LMS) gradebook. Student work may include open-ended questions, correct/incorrect responses, a final product and/or self-assessment. Students create signs for the computer lab illustrating the rules in the acceptable use policy. Students study a picture, and check the radio button next to the smiley face for the kids following computer rules, and the button next to the sad face for the kids breaking computer rules. 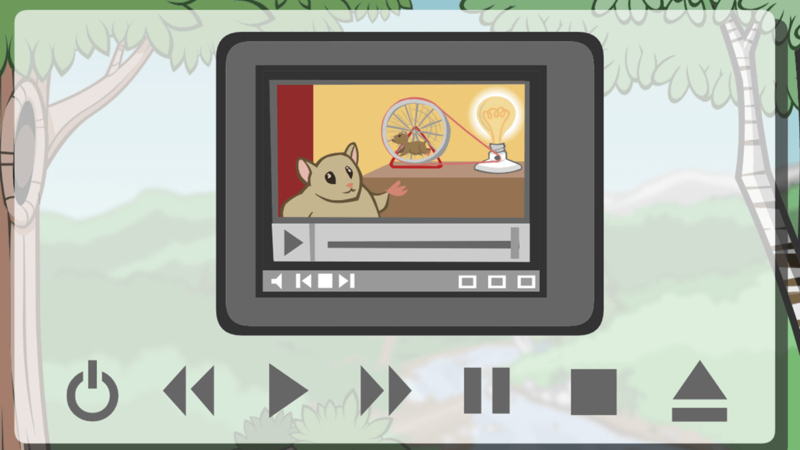 In this engaging and interactive digital lesson, the learners receive direct instruction and practice using a mouse to select, drag, and double-click as they select items using the pointer and mouse button, move objects on the screen, and double-click to open objects. 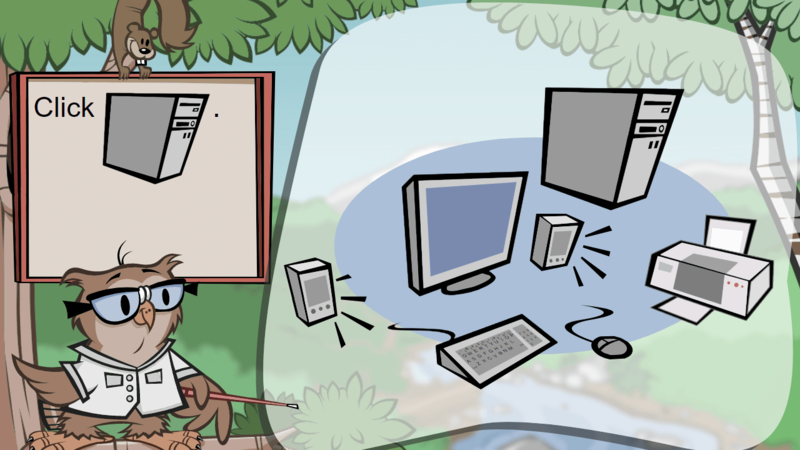 The learners receive direct instruction and practice identifying and caring for basic computer components such as the processor, keyboard, mouse, monitor, speakers, printer, and to classify the component as either an input or output device in this engaging and interactive digital lesson. During this engaging and interactive digital lesson, the learners receive direct instruction and practice with data storage devices, accessing stored data, and using and taking care of compact discs, DVDs, flash drives, and computer drives. Students practice recognizing various computer parts and data storage devices by playing a modified bingo game. 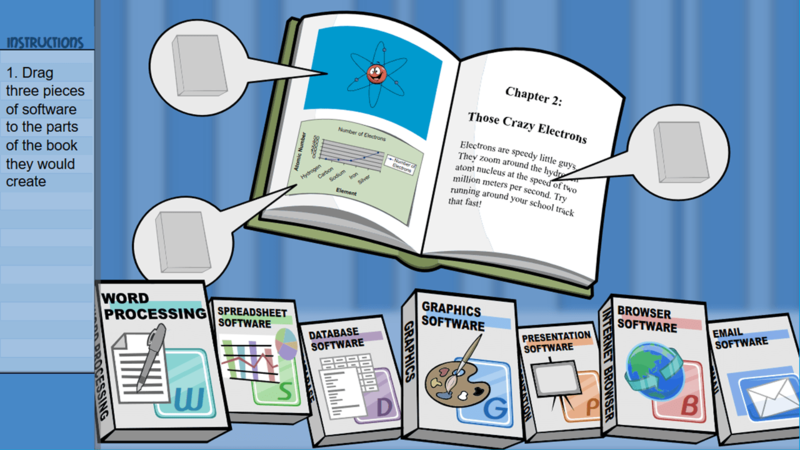 Students practice recognizing various computer parts and data storage devices by matching definitions to pictures. Students strengthen their technology vocabulary by playing a "memory" game that matches computer parts with their names. 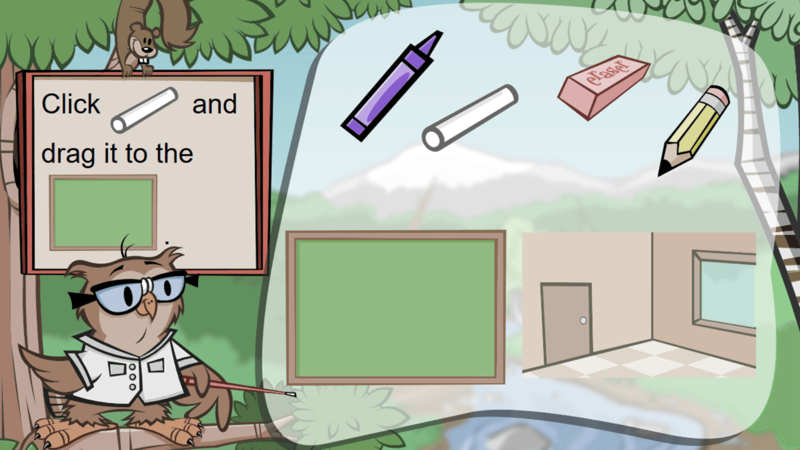 In this engaging and interactive digital lesson, the learners will receive direct instruction and practice recognizing and applying simple pictures and symbols to identify and use technology. Students act out a math problem and film it. Students watch a video about a historic community and compare it to their own community. Students plan and create a digital video about a good citizenship public service announcement. Students compare a version of a story with a digital video version of the same story. Students form groups, select a poem, and film a dramatic interpretation of it using digital video. The learners will receive direct instruction and practice using a printer, previewing and printing entire documents or selected pages, and troubleshooting common printer problems in this engaging and interactive digital lesson. During this engaging and interactive digital lesson, the learners will receive direct instruction and practice using a scanner for images or objects, saving a scanned image as a file, identifying components such as the scanning surface and scanning beam, and understanding how a scanner works. In this engaging and interactive digital lesson, the learners receive direct instruction and practice with smartphones, tablets, phablets (larger phones), and applications, and understand how mobile devices connect to a wireless network, store information using cloud computing, and use GPS for tracking. This unit quiz assesses students' knowledge of of Internet safety, cyber bullying, universal symbols, functions, and commands. Students are challenged to trouble-shoot problems common to external hardware. 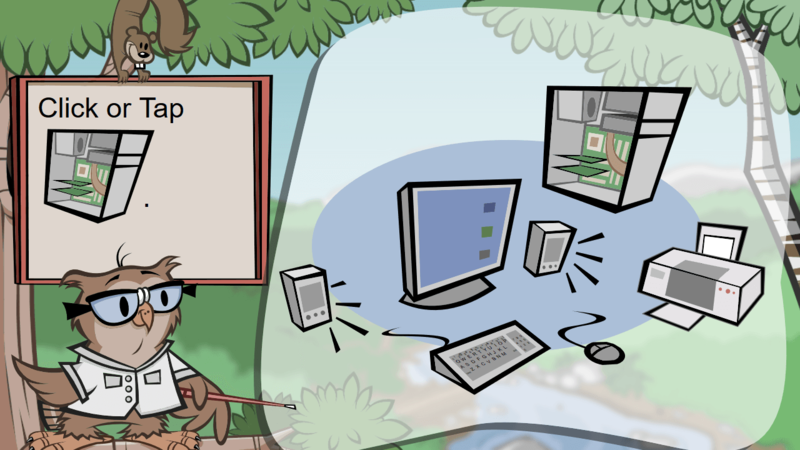 In this lesson, teachers use the discussion points to help students understand basic computer concepts such as input and output devices, networks, and compatibility. Students identify digital input, output, and processing devices by matching terms, functions, and definitions, and describe how components are used. Students choose and describe how three technology devices perform input, output, and processing functions. Students identify terms related to compatibility, evaluate computer platform issues and propose solutions. In this engaging and interactive digital lesson, the learners will receive direct instruction and practice using the desktop, working with files and folders, navigating file structures, moving and opening files and folders, and deleting files. 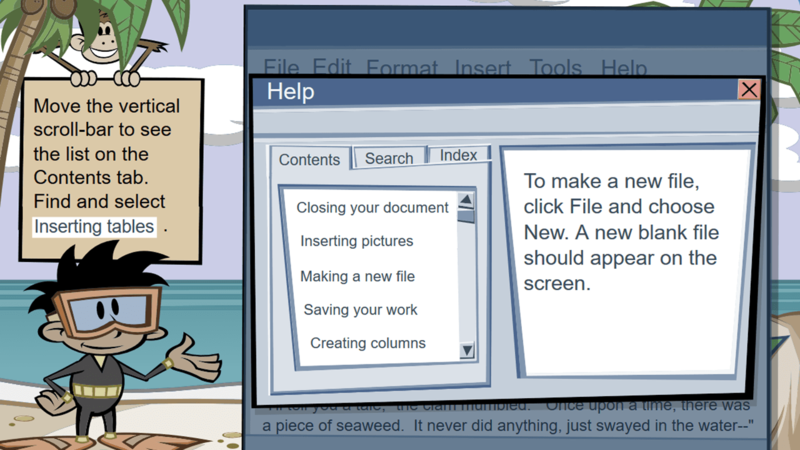 In this engaging and interactive digital lesson, the learners will receive direct instruction and practice with dialog boxes and options windows, making selections using check boxes, radio buttons, scroll bars, and dropdown menus, and controls to close, maximize, minimize, restore, and resize windows. 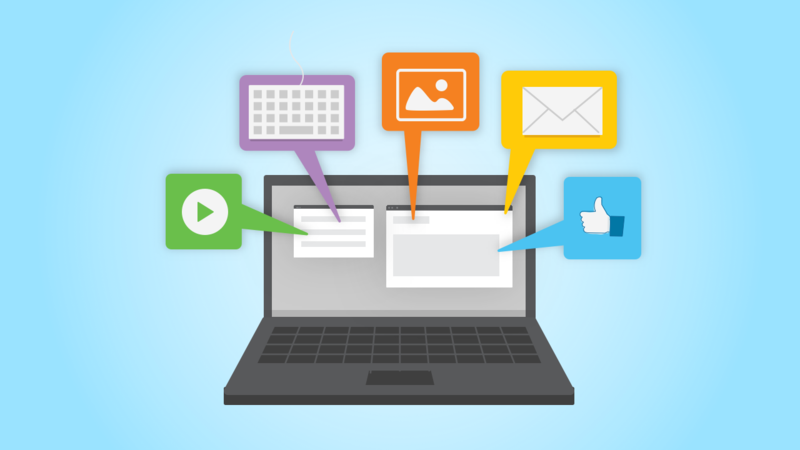 In this engaging and interactive digital lesson, the learners will receive direct instruction and practice navigating program menus and using toolbars, recognizing and using symbols, properties, and online help, and understanding the connection between program menu icons and toolbar buttons. The learners will receive direct instruction and practice with software programs and file formats as they identify software groups, select task-appropriate software, start and exit software programs, and create, name, save, print, and close files in this engaging and interactive digital lesson. The learners will receive direct instruction and practice with networking concepts, such as LANs, WANs, and file format compatibility. 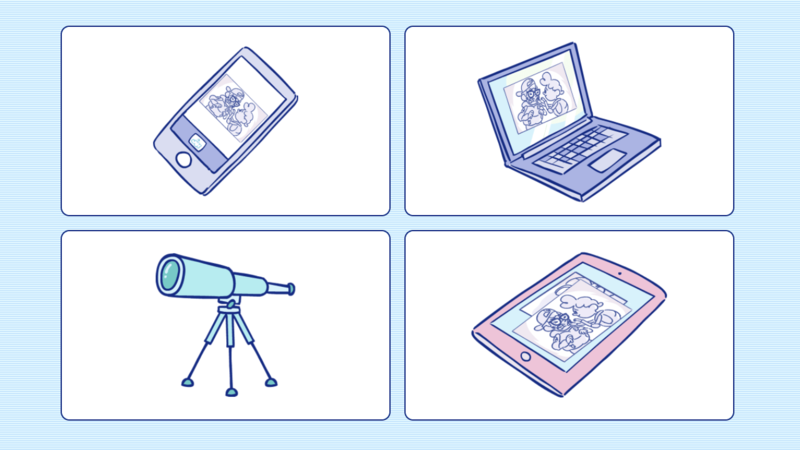 They will gain knowledge about how to use remote equipment and review intellectual property in this engaging and interactive digital lesson. 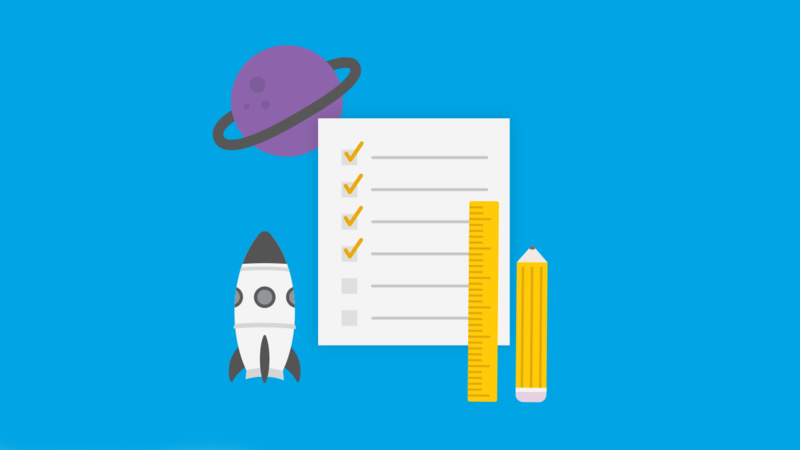 This unit quiz assesses students' knowledge of universal or conventional icons, menus, and document navigation. 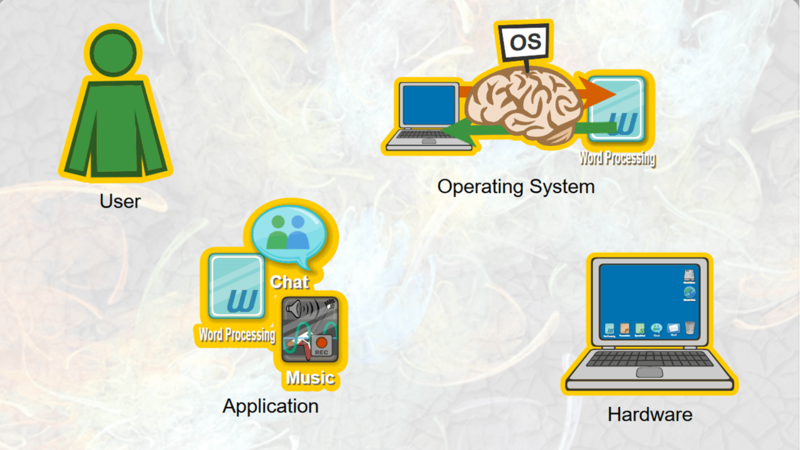 Students are also asked to recall the purpose of file extensions, operating systems, and networks. During this engaging and interactive digital lesson, the learners will receive direct instruction and practice in computer basics as they understand names and functions of basic components such as processor, input, output, and storage devices, and differentiate between analog and digital information. 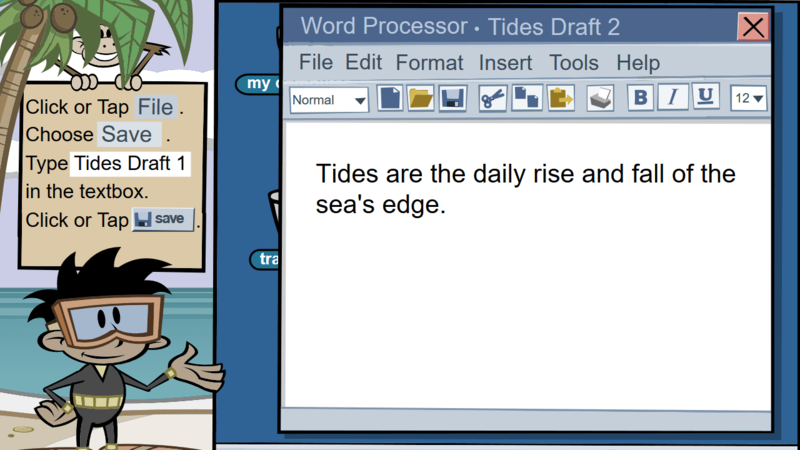 Students identify computer components and concepts by matching words, functions, and definitions. This is application exercise is a follow-up to the Basic Components lesson. 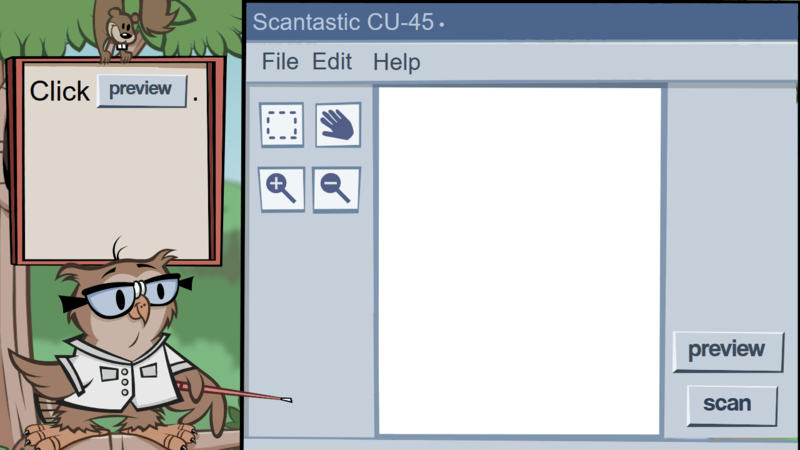 The learners receive direct instruction and practice with toolbars and program menus as they use the help tool to understand how to perform a task in a program, use the toolbar for common tasks, open programs and create, print, and save documents in this engaging and interactive digital lesson. 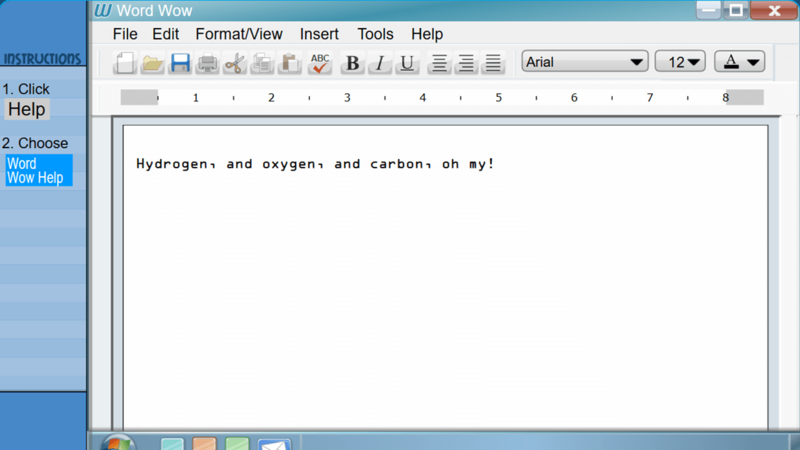 Students create program menus and toolbars for an imaginary computer program. In this engaging and interactive digital lesson, the learners receive direct instruction and practice in the area of operating systems and browsing as they gain knowledge about computer and mobile device operating systems, graphical user interfaces, icons, apps, and how to find files and folders. 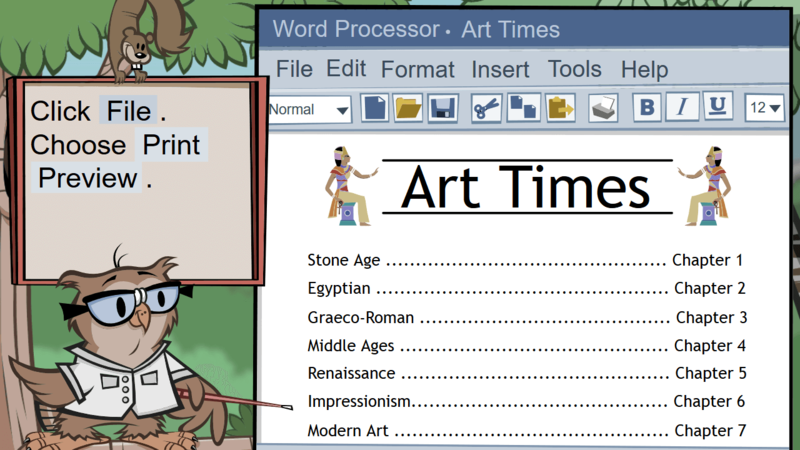 Students create file structures in a word processing or drawing program, demonstrating their understanding of how files are hierarchically organized in a computer. 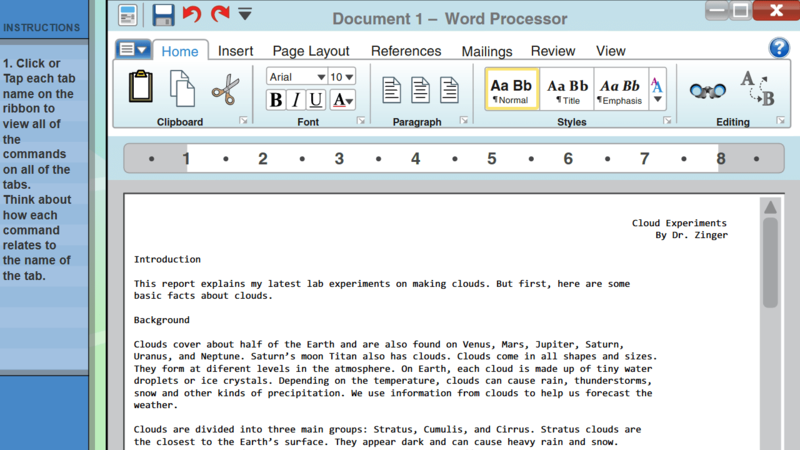 This application exercise is a follow-up to the Operating Systems and Browsing lesson. This engaging and interactive digital lesson provides direct instruction and practice related to various types of software. The learners will gain knowledge about types of software, how to select the appropriate software to complete a task, and how to use the buttons and controls found in software. Students choose a career that interests them based on a curricular area they have recently studied. (For example a unit on the environment could lead to research in careers such as scientists, environmental engineers, and so forth.) Students interview people in a relevant career field, and then plan and create material using various software for Career Day presentations. Students will interview students and research how computer applications have affected the way people travel. Students choose an application, research and interview to find out how the application is used, describe how their application could help complete a chosen task and hold a class debate about which programs are best for certain tasks. Students perform research and then deliver speeches to educate their classmates about how a specific technology application has affected society. This application exercise is a follow up for the Software, Buttons, and Controls lesson. Students research to write a speech about how technology has affected their lives. Students research to write a speech about how technology has affected different occupations. 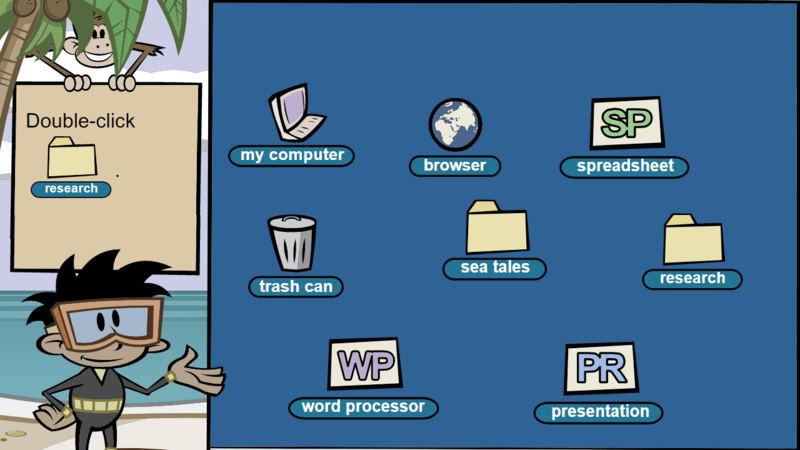 The learners receive direct instruction and practice using the ribbon interface in software including the applications button, help tool, tabs and labels, commands and groups found on each tab, dialog box, shortcuts, and setting up quick access buttons in this engaging and interactive digital lesson. Students poll other students to learn specific ways students think their day-to-day lives could be improved. Using this information, they create "Good Life" software interfaces with custom toolbar buttons and menus, and then a custom ribbon interface, positioning the same commands into appropriate ribbon tabs and groups. Students are given time to explain their choices, including how their interface tools compare and how their software would help improve daily lives. Students research different areas of a famous scientist's life. After each day of research, students write a journal entry using the information they just learned about their "standout scientist." Once students have researched the scientist, they choose one of the scientist's inventions or discoveries to investigate further from the perspective of the scientific method. To summarize what they have learned, students create multimedia presentations along with a presentation "prop", such as a poster, storyboard, lab background, process description, or other computer-generated visual aid, to present their research highlights from the perspective of their standout scientists. 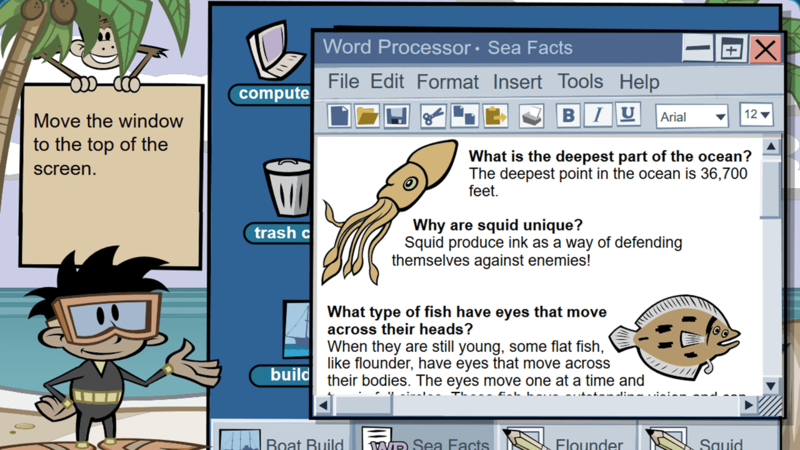 In this lesson, teachers use the discussion points to help students understand the concepts of computer fundamentals such as input, output, and processing devices, analog vs. digital information, storage devices, and file formats. 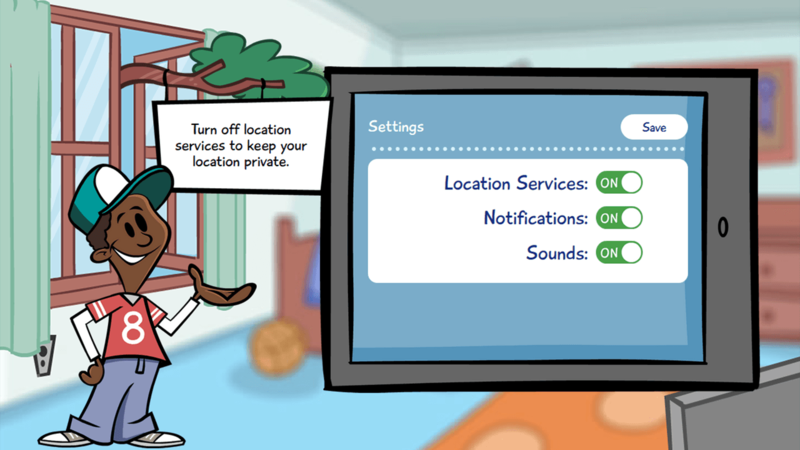 The learners receive direct instruction and practice with mobile devices (smartphones and tablets) that have built-in browsers, apps, and connect to a wireless computer or cell phone network. 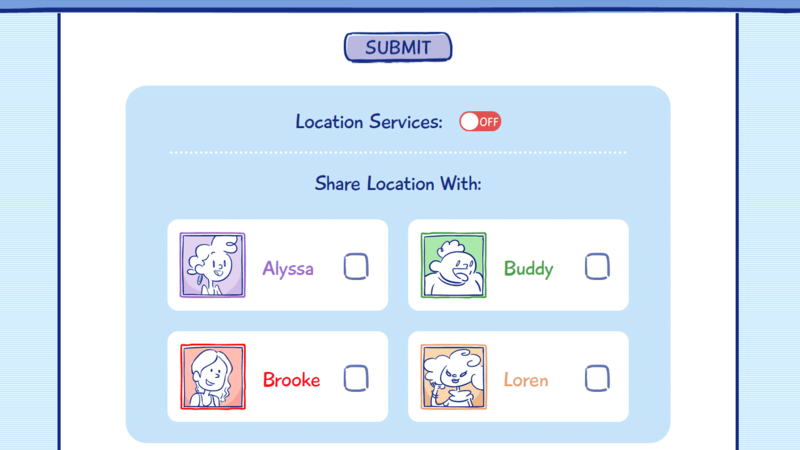 Learners are introduced to in-app purchases and ad-supported apps, limiting push notifications, and reviewing the terms, privacy policies, and practices of all apps. During this engaging and interactive digital lesson, the learners will receive direct instruction and practice related to the basic components and functions of a network as they gain knowledge about file sharing and storage, compatibility, and ethical use of networks. Students identify terms related to networks and answer questions. 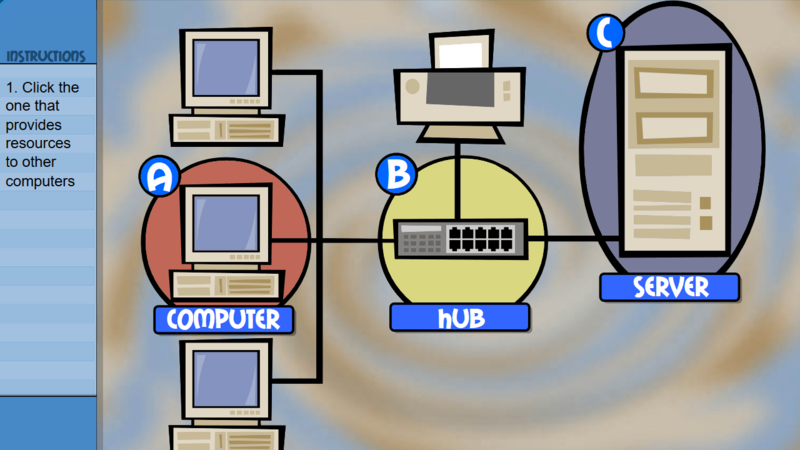 In this lesson, teachers use the discussion points to help students understand the concepts of LANs and WANs, cross-platform connectivity, file format issues, and using help menus. File-sharing and peer-to-peer networks: Students research the pros and cons of file sharing and participate in classroom debates to clearly examine the benefits of file sharing and to be aware of the drawbacks and how to stay safe and legal while using these programs. Students email pen pals to learn about world cultures. Students email pen pals to learn about weather around the world. Students email a survey about family or cultural traditions to recipients, compare and contrast responses, and then email a summary of the results to the respondents. In this engaging and interactive digital lesson, the learners receive direct instruction and practice with cloud computing as they explore what cloud computing is and understand that cloud services can automatically synchronize and save data across multiple devices. 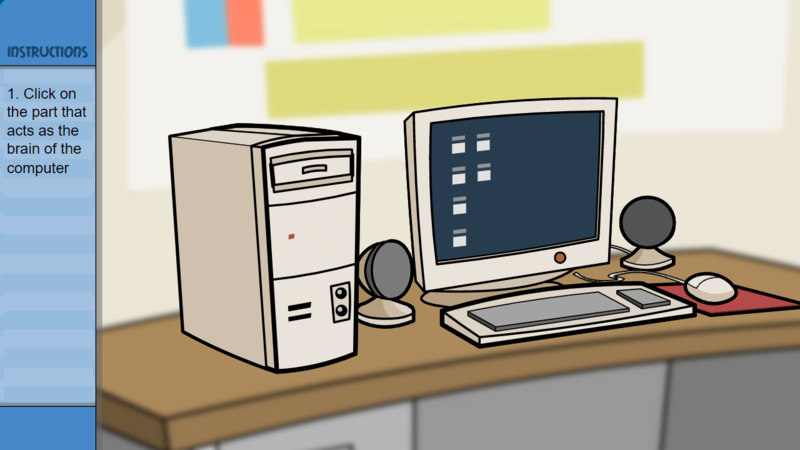 This unit quiz assesses student knowledge about basic computer operations and universal aspects of keyboards, software design, and electronic file storage.